This species was first described by Tenore from Naples in 1811 and its name refers to the small number of flowers carried by individual plants. Whilst this description is generally valid, O. pauciflora can sometimes have a relatively long and dense inflorescence as in photo 10. Where the plant grows in its preferred habitat of hilly/mountainous ground in light woodland or scrub. it tends to be short in stature and few flowered whilst at lower elevations it grows more vigorously and can frequently reach as much as 30cms. 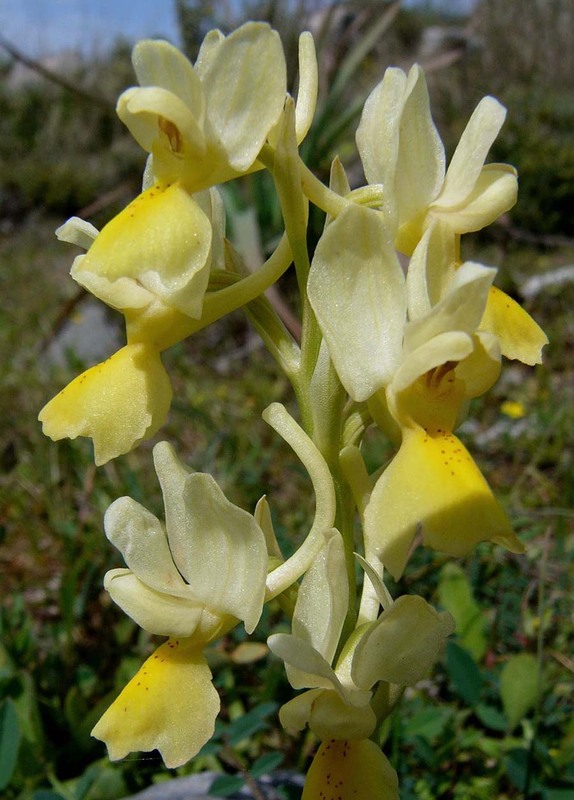 O. pauciflora is a distinctive plant but one which can easily be confused with other species, the orchids that most frequently cause difficulties are O.provincialis and the yellow flowered form of D. sambucina, both of which share the preference for upland habitat. 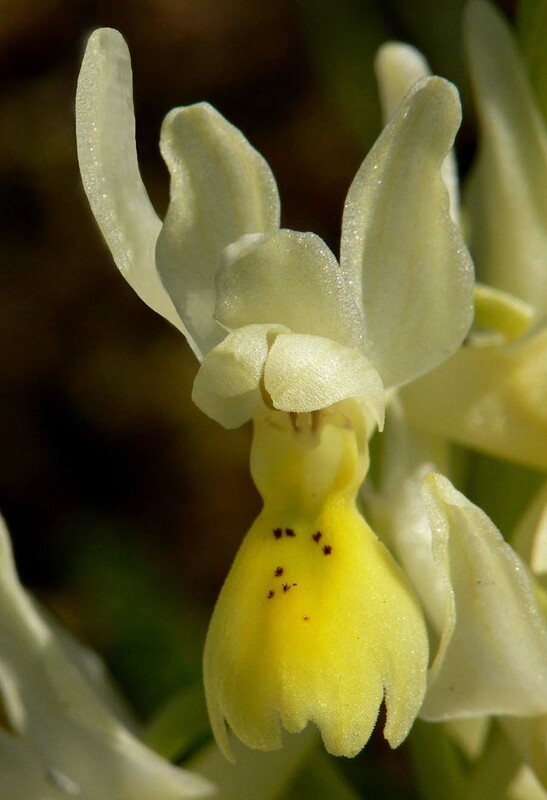 The former species is usually a leggier plant with off white flowers which although occasionally of a more yellow hue, are a far less sulphurous shade. O. provincialis is also distinguished by its heavily spotted leaves. 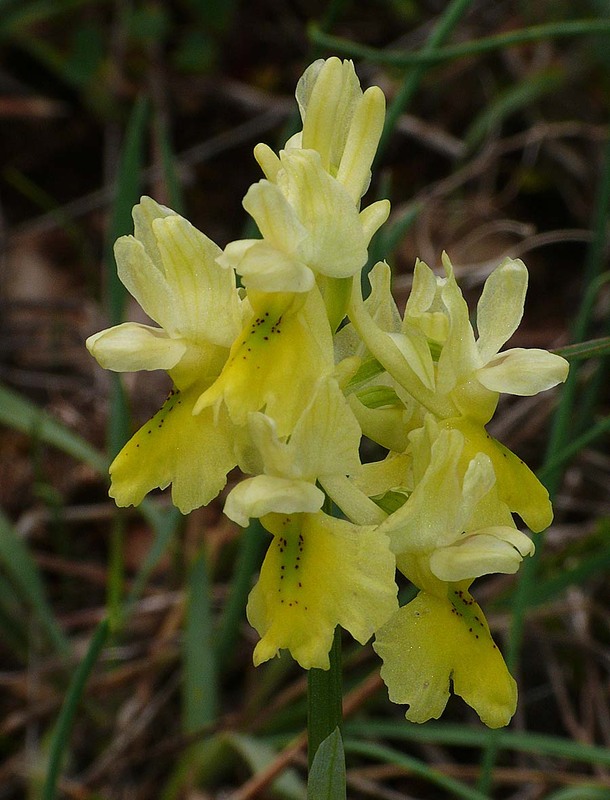 D.sambucina is also less intensely yellow but more importantly has the typical Dactylorhiza bract formation appearing through the inflorescence. 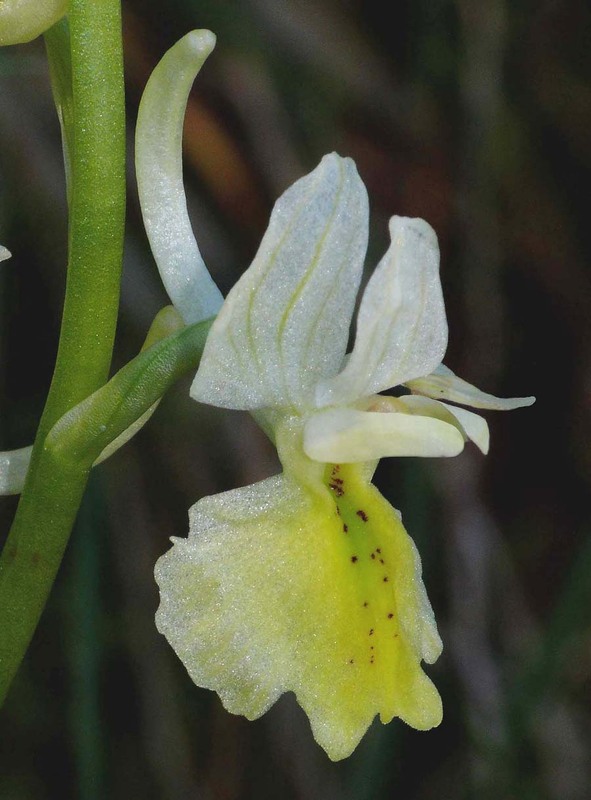 O.pallens is another similar species that has an overlapping range but is a far rarer orchid with very robust, rounded leaves forming a basal rosette. The most significant differentiating feature however is the flower of this species which completely lacks any lip markings. The range of O.pauciflora is largely the countries bordering the Adriatic as far as Thrace in eastern Greece and with outposts in Corsica, Crete, Sicily and Algeria. The illustrations are from Italy, Crete and Greece all dating from April. 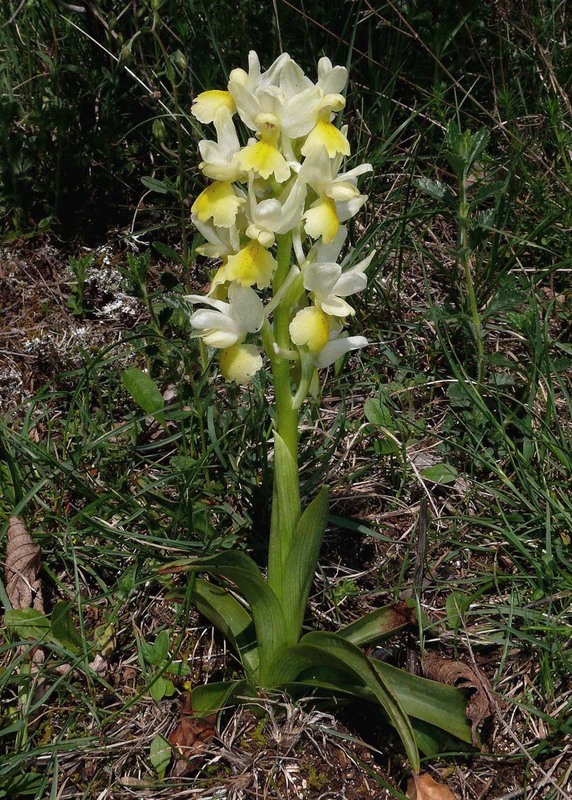 this population was in fact a rare occurence of Orchis hybridogeny similar to that more frequently seen with Serapius and Dactylorhiza.